Regular weekend operation is anything but ordinary. Avoid the crowds and visit us on one of our many regular weekend operating days, “green days”, and take your family on three different steam powered railroads - small, medium and BIG! Find the list of “green days” here on the calendar. While not in operation, all of our other exhibits are still on display. They are some of the most iconic machines in history. This is a great time to get up close to these iron giants of the past, all maintained by volunteers. built with care and craftsmanship. Many are steam powered replicas of locomotives of the past. “Green Days” have no admission to get into the grounds. *while the museum strives to operate steam locomotives on all “green days”, gas or diesel locomotives will be used in case of mechanical issues or volunteer availability. Thank you for your understanding. 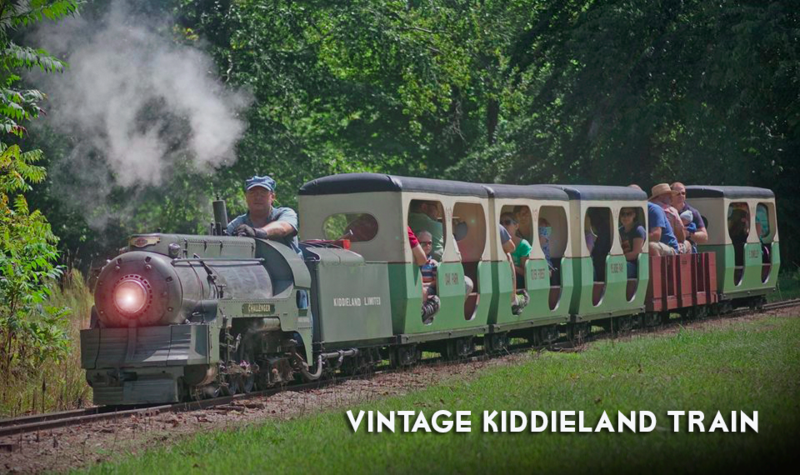 These nostalgic railroad rides date back from the 1920s and are from small amusement parks that could be found in many Chicagoland neighborhoods, the last closed in 2009. 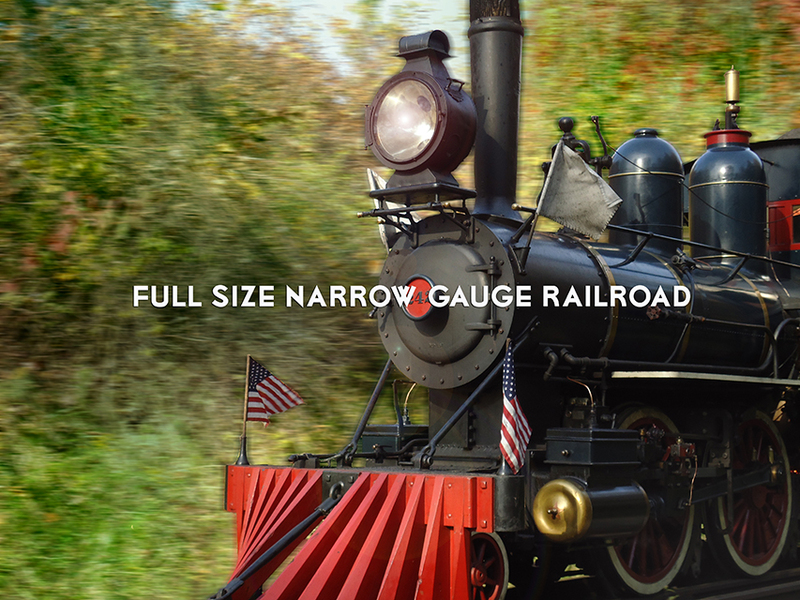 In early days of railroading narrow gauge steam trains could be found working rugged terrain. Our railroad takes you on a 2 and a half mile trip through beautiful landscape.